So… on September 20th, I spent the evening with our friends of NYDIS & Why Not Care at St Barts Church in NYC for a memorial service for the over 3,000 lives lost during Hurricane Maria. The ceremony was heartbreaking and culminated in a peaceful march to TrumpTower for the community to voice their indignance towards recovery efforts in Puerto Rico. As many of you know, I have been to the island on behalf of Nuestro Ideal to assist with long-term projects addressing food security/nutrition in Orocovis (and a bigger project being developed in Lares). I have spoken to locals, asked questions provided resources and lent a hand in this critical time of need. Yet, like many of us. I have often felt like we collectively are not doing enough. I knew that all my social media platforms would be sending me alerts with memories that would take a toll on many of us emotionally. I then thought of Mama… who passed away just months before. If she was here, she would remind me how resilient we are as a ‘pueblo” and she would urge me to find stories of positivity that would give people hope. So when I was contacted by my friends at JetBlue to invite me to return to the island on the 21st and learn about some of the positive things happening to help Puerto Rico recover, I jumped at the chance of being able to be a witness and serve the community in spreading the word. This media tour was focused around the Metropolitan Area (San Juan / Condado / Cataño) and Tourism. 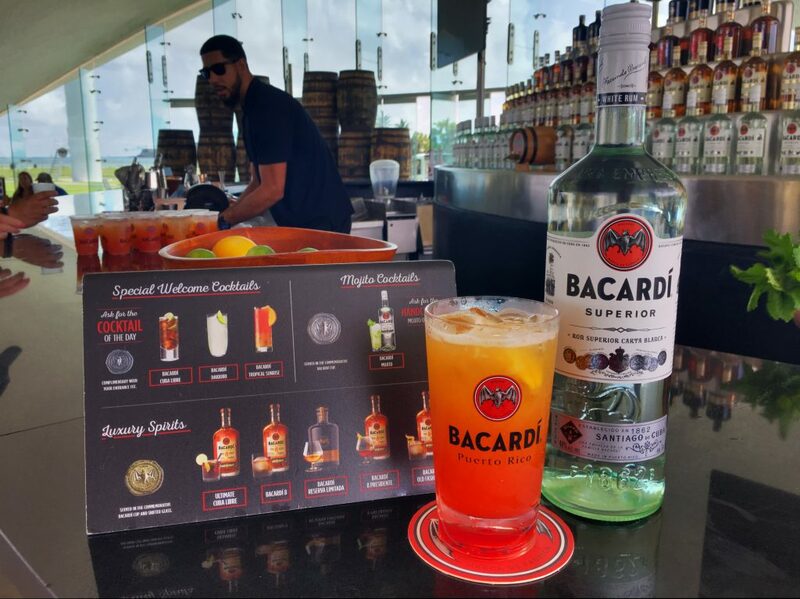 I was pleasantly surprised that Discover PuertoRico, a non government non profit was not only hosting us but was focused on supporting small Puerto Rican owned enterprise in addition to some of the bigger parts of the tour (like the Bacardi factory) as we navigated the city. Flight: JetBlue Airways. JetBlue is New York’s Hometown Airline™, and a leading carrier in Boston, Fort Lauderdale-Hollywood, Los Angeles (Long Beach), Orlando, and San Juan. 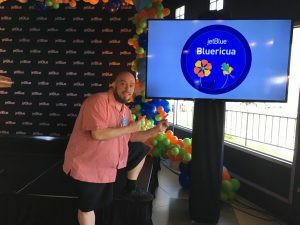 JetBlue carries more than 35 million customers a year to 100 cities in the U.S., Caribbean, and Latin America with an average of 925 daily flights. I am very lucky that I live only 10 minutes from Laguardia which makes my monthly trip to Orlando Florida. I have been flying JetBlue for most of the 16 years they have been in business. Jetblue was also the very first brand I followed on Twitter 9 years ago. Since then, I have been engaged in several media trips, travel experiences and even served as a social ambassador at different events nationally. I truly love JetBlue. Hotel: Condado Vanderbuilt, where luxury redux. Condado Vanderbilt features unique Spanish Revival architecture, opulent interiors and dramatic hotel ocean views from among the most venerable hotels in San Juan, Puerto Rico. 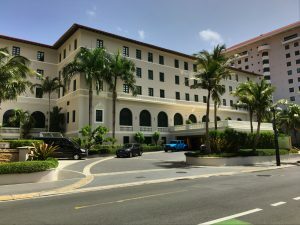 Since opening its doors in 1919, Condado Vanderbilt Hotel has catered to sophisticated travelers who pursue five-star San Juan luxury in the most exclusive beachside hotels on the Caribbean island of Puerto Rico. Restored to its storied grandeur through a meticulous renovation, this landmark San Juan hotel and resort — among the best in Puerto Rico — stands as a monument to timeless elegance and style. Condado Vanderbilt invites you to discover Puerto Rico as it is meant to be experienced, where exacting service, exquisite amenities, and fine dining are the hallmarks of every stay. I will be honest and say that this type of Luxury lodging is a totally new experience for me, they may have ruined me for other hotels even though I did not what to do with my butler service. What followed in the days was a beautiful mix of old school Puerto Rico, new restaurants, mixology and unique experiences that all indicate that new generations of home grown entrepreneurs are starting their own legacy of Puerto Rican Hospitality. We ended this trip with a very special celebration at El Aeropuerto Luis Nuñoz Marin to celebrate the launch of #BlueRicua, Airbus 320 aircraft – tail N779JB – named “Bluericua which is dedicated to “La Isla del Encanto.” ,” blending JetBlue’s brand with the affectionate name for people of Puerto Rican descent. 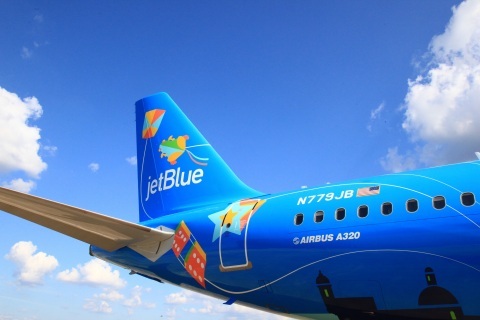 This custom-designed livery is inspired by JetBlue’s admiration for Puerto Rico’s dynamic culture, stunning beauty and the passionate spirit of its community. In the coming weeks, I want to share the rest of this simple but amazing itinerary (curated by Discover Puerto Rico) with you in my next few blog posts so that you can plan your next trip… this trip was entirely too much for one blog post so this page will serve as a hub for a few detailed stories about the individual businesses. I will continue to #CoverTheProgress both here on the blog and on my social channels. Especially since I am planning to call Puerto Rico home once again. You do not have to wait… you can visit Discover Puerto Rico, a bilingual portal to help you plan your next trip to Puerto Rico. There you will find a carefully curated selection of lodging, gastronomy, nightlife and cultural experiences that represent the best of what Puerto Rico has to offer. Connect with them on social for inspiration on what you can experience on our beautiful island.